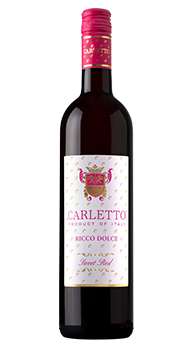 Carletto Ricco Dolce is a Sweet Red, comprised of 70% Brachetto and 30% Malvasia Rosso grapes. 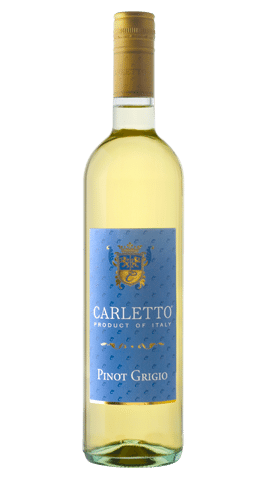 These premium varietals are grown in the Piedmont Region of Northwestern Italy. 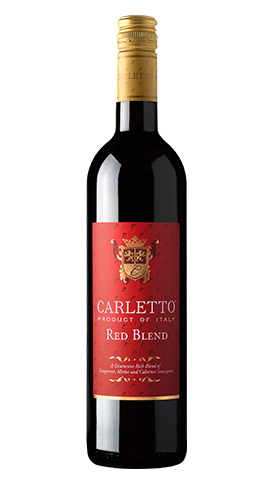 This blend produces the ripe Ricco Dolce, which is full of flavor, yet soft and deliciously sweet. 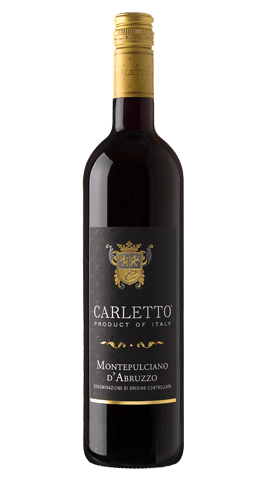 In order to create its richness, the stemmed grapes are placed in stainless steel tanks, where they are macerated in the skins at 50 degrees Fahrenheit, which extracts the delicate aromas and rich color. The grape must is then separated and then stored at 32 degrees Fahrenheit until bottling. Just prior to bottling, the must is allowed to warm, which naturally starts fermentation. 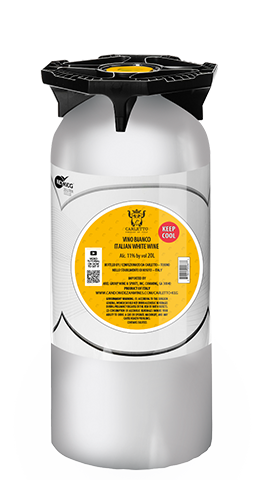 Once the desired alcohol and pressure level is reached, fermentation is halted, it is filtered and bottled. The result is a deliciously smooth and elegant sweet drink. Ricco Dolce, meaning “rich” and “sweet”, is a blend. 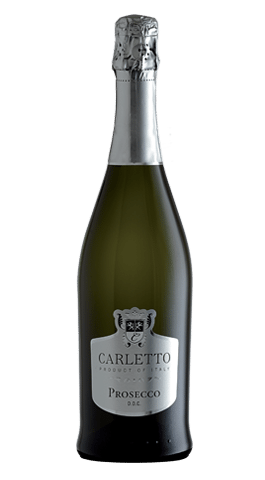 The Bracchetto adds fresh red berry flavors, while the Malvasia Rosso imparts soft rounded and slightly floral characteristics. The finish is seductively fruity. With balanced acidity. 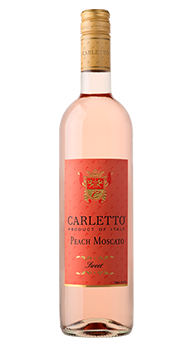 And a creamy mouthfeel with fresh flavors of cherry and strawberry. 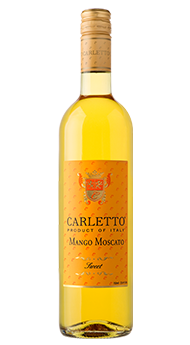 Pairs well on its own or with desserts such as cheesecake, crème brulée, fruits tarts, fruit salad and chocolate. Piedmont, located in the northwest of Italy and bordered by France and Switzerland, is surrounded by the Alps on three sides. The name Piedmont means ‘the foot of the mountain’, which is completely appropriate as the region lies at the foothills of the Alps. Its continental climate with diurnal temperature variations create the ideal winegrowing climate: warm days and drastic drops in temperature at night. This favorable climate, in conjunction with advanced technologies used in producing wine, have lead the Piedmont to be one of the top three wine producing regions in Italy.